Give your home an exterior facelift that's (mostly) for you! 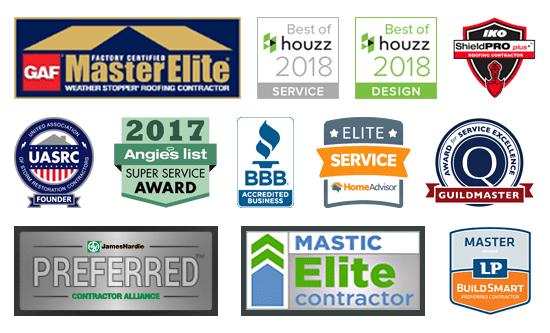 Replacing your home's roof, siding, windows, doors and gutters will make your home look like new and wow the neighbors, but at Hoffman Weber we're all about you. These updates can increase resale value, convenience, personal comfort and energy efficiency. They also will protect your biggest investment by preventing water damage, wood rot, insect infestation and toxic mold. And it your home has sustained storm damage, most of the cost will be covered. And if you see your friends are jealous when we're done, please send them our way. It's the neighborly thing to do! It's not enough for your project to turn out great. Hoffman Weber has the communication tools and production systems to ensure that you also enjoy a low-stress construction experience. We put red carpet customer service into exterior remodeling. Compare roofing materials and styles for durable protection and enhanced curb appeal. We'll also make sure you understand what you don't see that goes into a top quality roof installation. 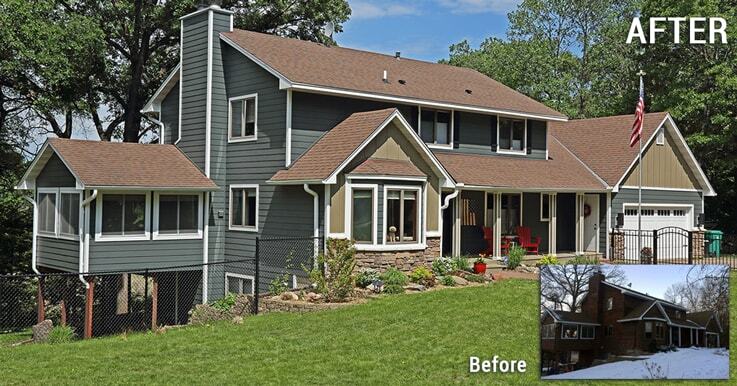 If your siding problems are beyond spot repairs and another coat of paint, Hoffman Weber can present a variety of reduced-maintenance products that will resist storm damage and hold their looks for decades. Replace your deteriorated builder-grade windows with energy-efficiency replacement windows. We'll help you compare top-rated clad wood, fiberglass and vinyl products from Marvin, Andersen and Lindsay. Gutters and downspouts should help keep your basement dry. But if sized wrong or installed improperly they actually can cause water infiltration and ice dams. Our gutters will complement your home and perform under harsh conditions. Adding attic insulation can lower energy bills. But it must be combined with thorough air sealing and balanced ridge and soffit ventilation to prevent condensation and ice dams. We take the systematic approach to do it right. Old decks not only are maintenance hogs, many also are unsafe by today's building codes and allow water into exterior walls. Learn about code compliant composite and vinyl decking and aluminum rail systems that require no staining and improve safety and weatherproofing.